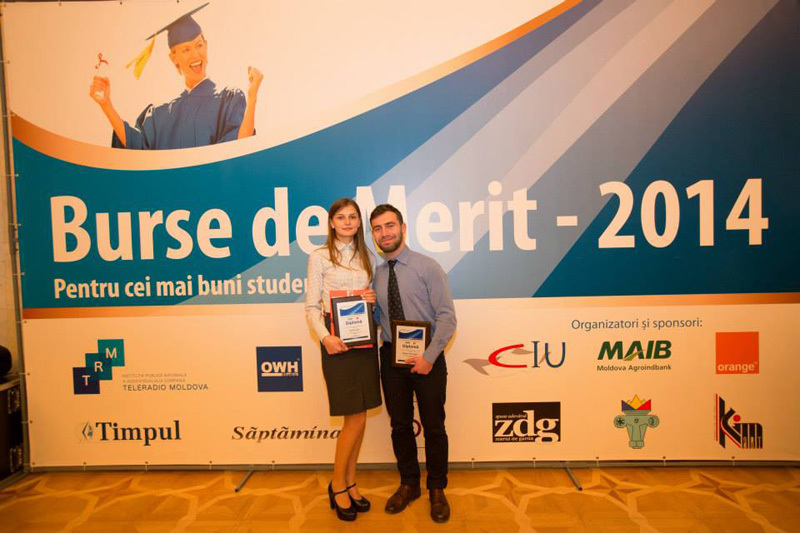 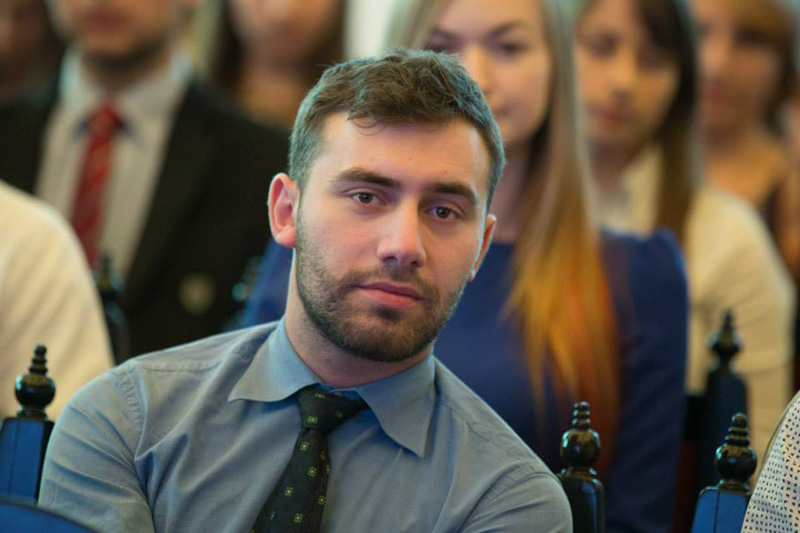 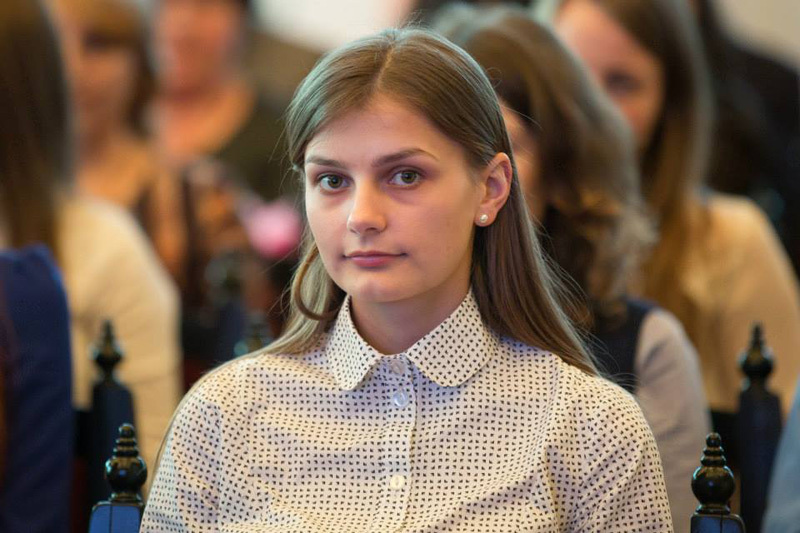 The best students of the country - The Merit Scholarships 2014 | State University "Dimitrie Cantemir"
Doroș Irina and Manole Alexandru, third-year undergraduate students from the Department of Natural Sciences, specialty Molecular Biology are two of the 50 best students of the country, winners of the Merit Scholarship 2014, 19th edition. 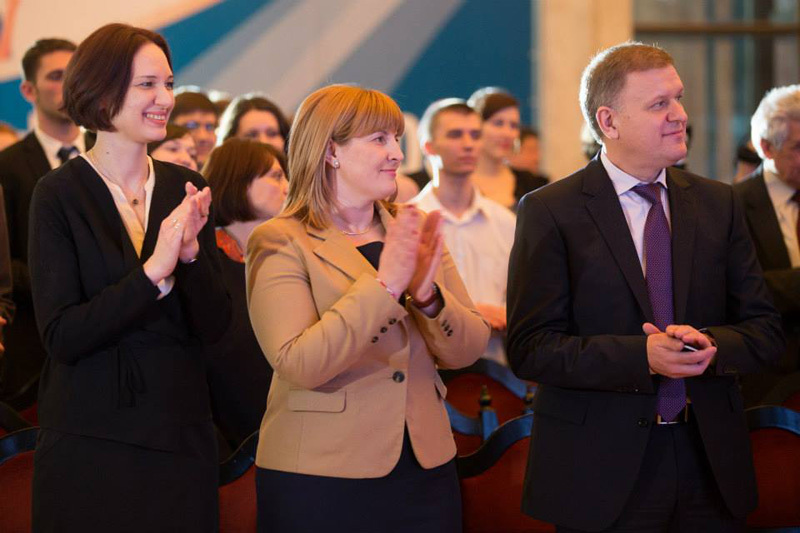 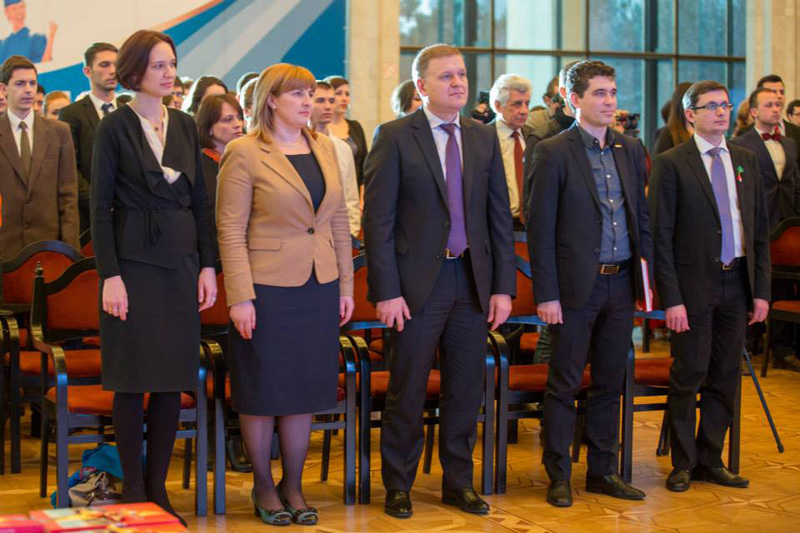 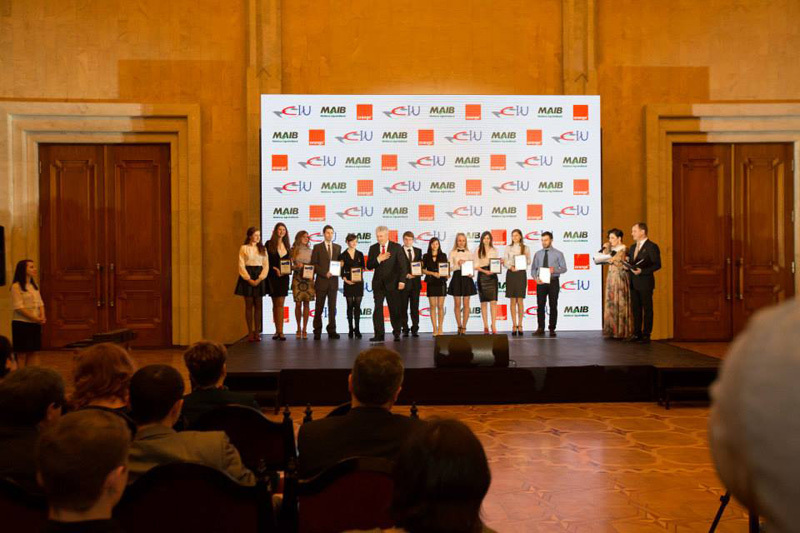 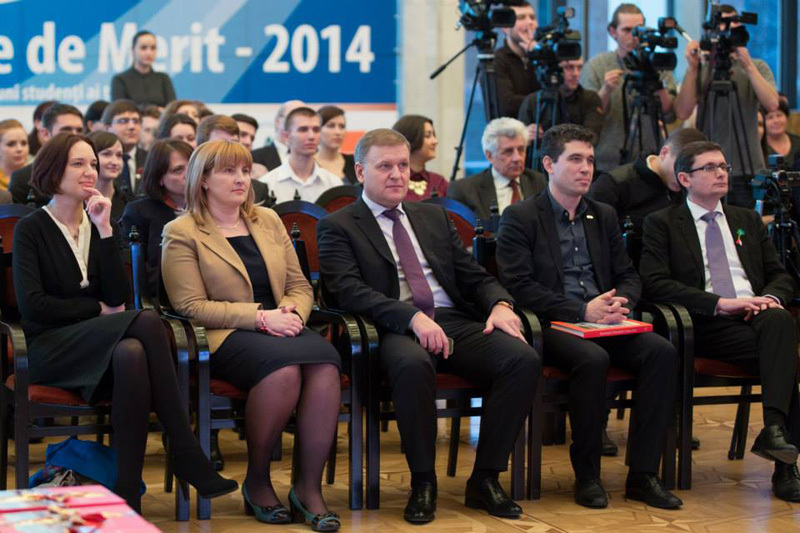 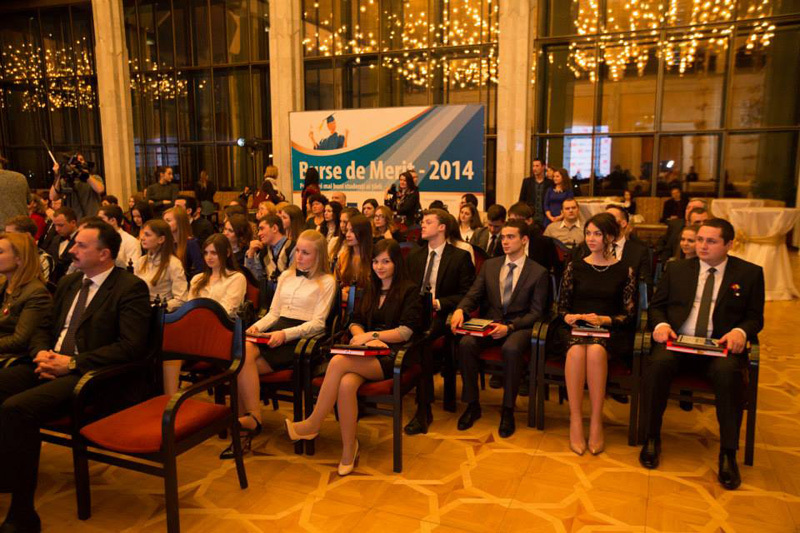 The festive ceremony took place on 3 March 2015, in the Republican Palace and was organized by the Educational Advising Center under the Council of Rectors of the Republic of Moldova (CRRM), with the support of Moldova Agroindbank and Orange . 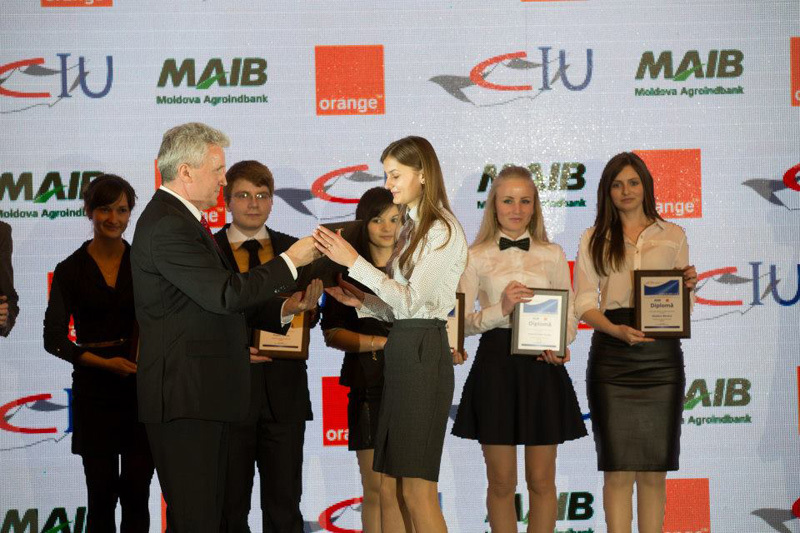 The current edition of the competition was attended by 257 students from 16 higher education institutions. 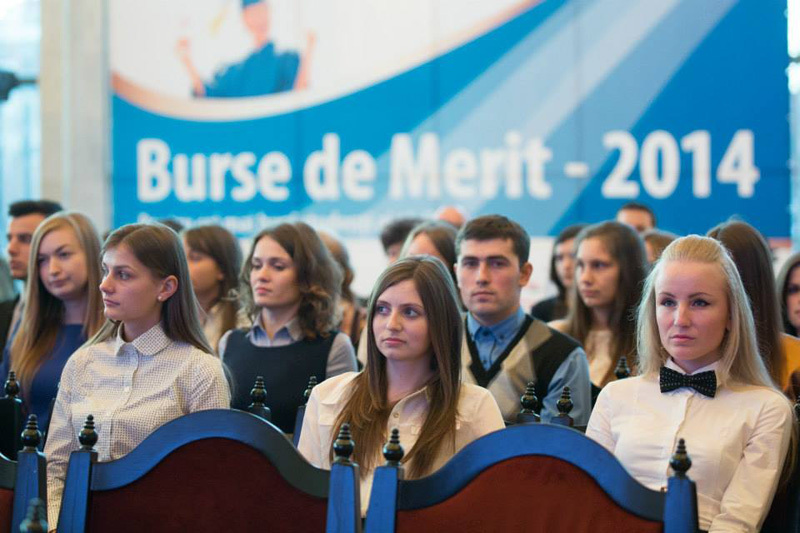 After the evaluation of application packages and general education test results, 35 final year undergraduate students and 15 graduate students from 10 universities in the country were selected. 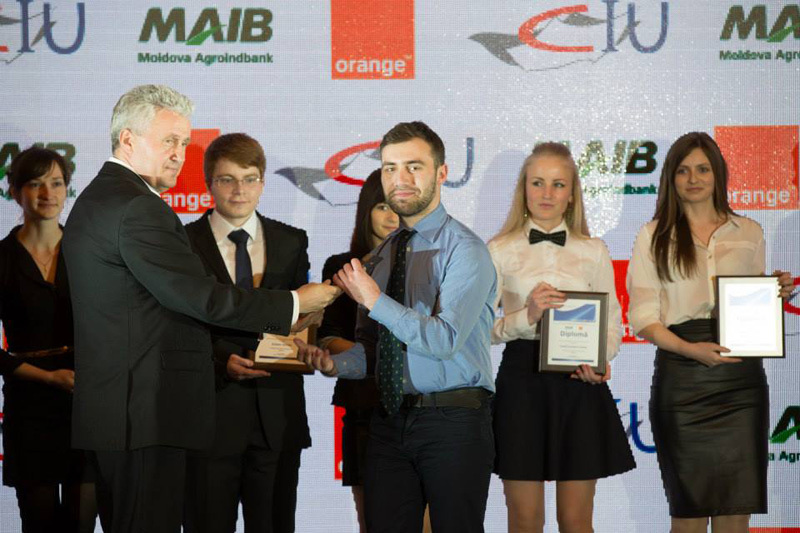 The competition finalists will receive Merit Scholarships worth12,000 MDL. 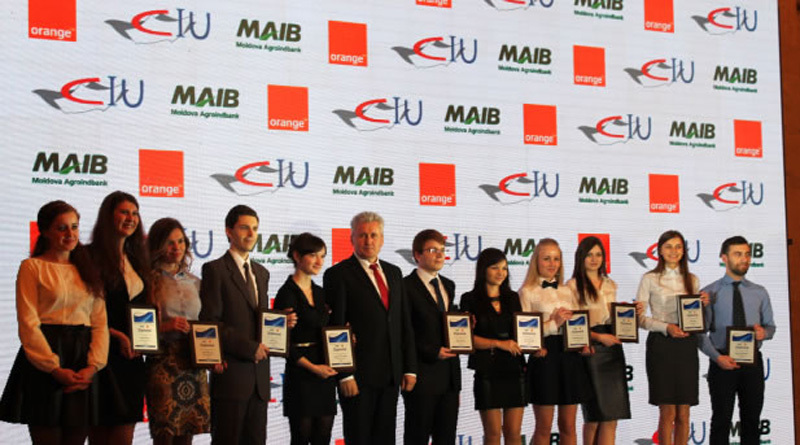 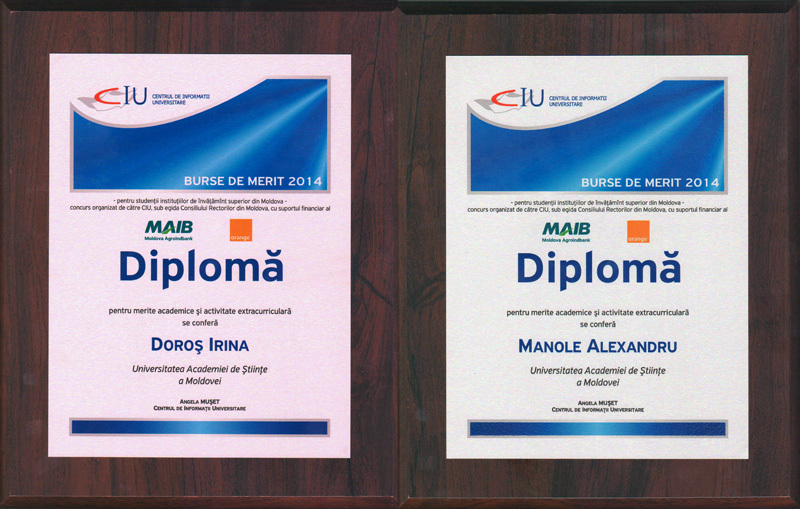 Congratulations to the winners Doroș Irina and Manole Alexandru!